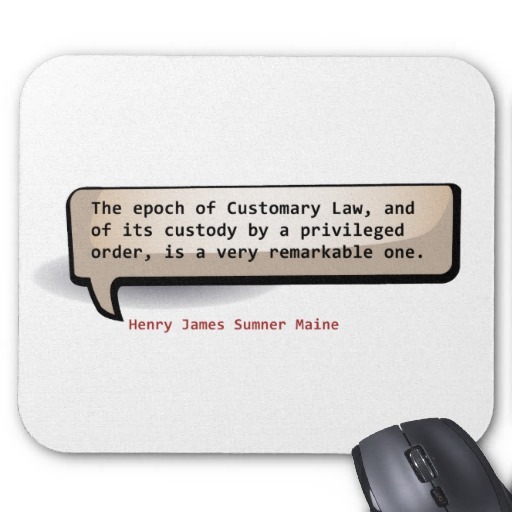 See the gallery for quotes by Henry James Sumner Maine. You can to use those 8 images of quotes as a desktop wallpapers. 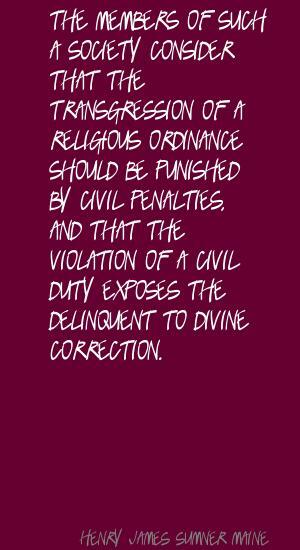 The members of such a society consider that the transgression of a religious ordinance should be punished by civil penalties, and that the violation of a civil duty exposes the delinquent to divine correction. In spite of overwhelming evidence, it is most difficult for a citizen of western Europe to bring thoroughly home to himself the truth that the civilisation which surrounds him is a rare exception in the history of the world. 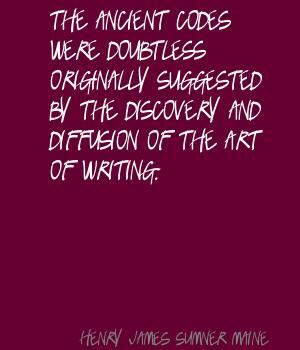 The ancient codes were doubtless originally suggested by the discovery and diffusion of the art of writing. The epoch of Customary Law, and of its custody by a privileged order, is a very remarkable one. The Roman Code was merely an enunciation in words of the existing customs of the Roman people. 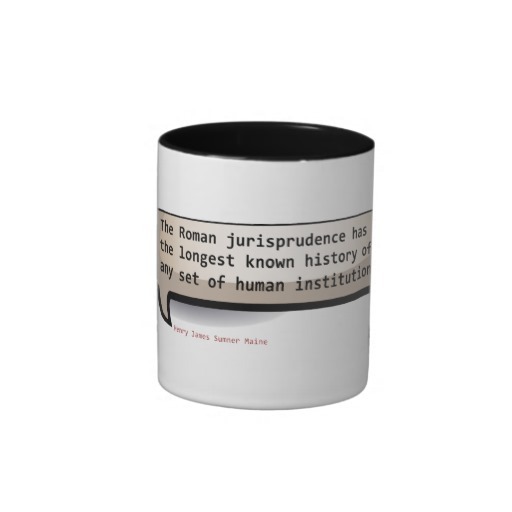 The Roman jurisprudence has the longest known history of any set of human institutions. When primitive law has once been embodied in a Code, there is an end to what may be called its spontaneous development. Law is stable; the societies we are speaking of are progressive. The greater or less happiness of a people depends on the degree of promptitude with which the gulf is narrowed. 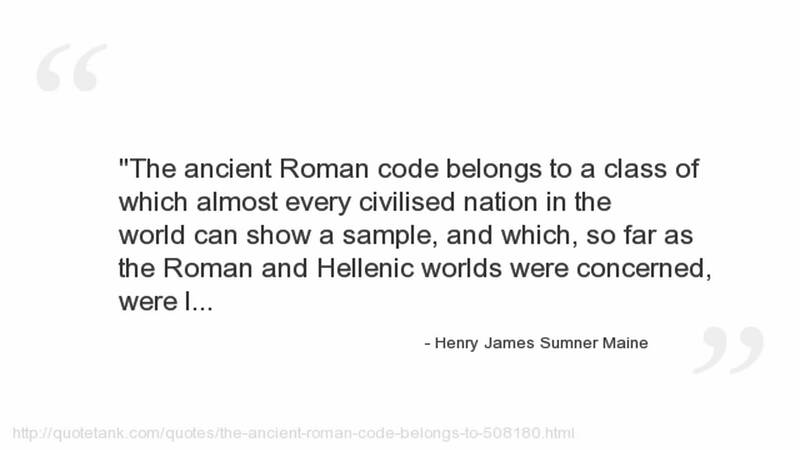 The ancient Roman code belongs to a class of which almost every civilised nation in the world can show a sample, and which, so far as the Roman and Hellenic worlds were concerned, were largely diffused over them at epochs not widely distant from one another. The inquiries of the jurist are in truth prosecuted much as inquiry in physic and physiology was prosecuted before observation had taken the place of assumption. The most superficial student of Roman history must be struck by the extraordinary degree in which the fortunes of the republic were affected by the presence of foreigners, under different names, on her soil.